I have to agree with Asimov wholeheartedly concerning Dickens. I am continually amazed by his ability to make me feel what the characters feel. People have asked if I have favorite quotes from my current read, Oliver Twist. It is so hard to decide since he writes so well and his descriptions are beautiful, even when they are terrifying. Here is an example from my reading last night. I’m hoping to finish the novel today. It is at an exciting point and it was hard to set it aside last night, but it could not be helped. 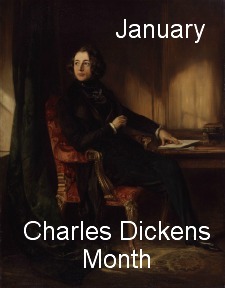 This entry was posted in Books and tagged Authors, Charles Dickens, Charles Dickens Month, English Literature, Isaac Asimov, Novels, Oliver Twist, Reading Challenges, Science Fiction, Writers. Bookmark the permalink. I absolutely Love Dickens…still trying to get to A Tale of Two Cities …. this month has gotten away from me! There is always next month…Dickens will wait. I haven’t read that one yet, but I’ve heard good things. And it is on my list this year. I hope you can find the time soon. I saw Bleak House mentioned quite often these days and today I read the opening paragraph on amazon and it’s really amazing how well he captures the muddy streets of London. He continues to amaze me. I haven’t read Bleak House but it is on the list for this year. I think you might like his writing. I’m really enjoying it. Any King suggestions? I want to read some of his novels. One of the things I find amazing about Dickens is the way he manages to engrave such clear pictures in our minds. Images that stay with us. “(…) spread his little hands before his eyes to shut out the darkness”. This phrase/picture will stay with me until the day I die; or until Alzheimer strikes me.. I marvel at his skill as well. It is almost like I am watching a film in my head when I read his words. Thanks for stopping by! I’m amazed at how artful and skilled some authors are with the words! These are the authors that I can read again and again. Really? That’s too bad…I hope things have turned around for you. I haven’t seen the movie by Polanski. I’ll have to check it out. Continued luck on your ongoing literary quest. Thanks Hook! Your support is appreciated! 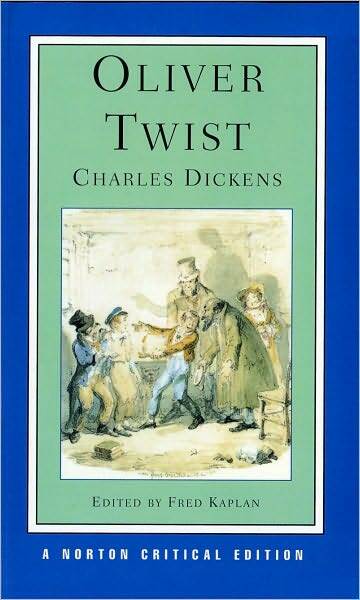 David Copperfield and Oliver Twist are two of my favorite classics. Dickens simply has a way about him, doesn’t he. Darn it, you’re making me miss reading him!! I actually borrowed the new edition of A Christmas Carol last December (was dreaming that I’d find the time to read it) – but of course, Dickens demands absolute concentration and time (the former I have loads of, the latter, I am in need of, unfortunately). Enjoy! It is hard for me to describe Dickens writing, which is why I use quotes to aid me. Dickens can help explain his talents. I’m sorry you weren’t able to read A Christmas Carol this year. I’m hoping to read it this December. Maybe you will find time. And yes, you can’t pick up Dickens and only spend a minute or two reading it…he absorbs you into his writing and it is hard to put down. That is one of my most favorite aspects of Charles Dickens. He is a master at description and I don’t think it is superfluous. His characters and his atmosphere are dead-on! I agree with you. He was such a talented man! He is dead on. I’ve read and thoroughly enjoyed all three. Wodehouse is my favorite of the three writers, but it is really an unfair comparison as their works are so very different. Each writer is indeed a master wordsmith, creating the kind of fiction that you often can’t believe anyone could have written because of its deft touch. I really need to pick up some Wodehouse since I haven’t read any of his works. I love Twain and Dickens. Lately, though, on a lot of blogs I’ve been reading so many good things about Wodehouse. And I think you’ve suggested him to me before. I’ll check my local library. Yes I have. Either start with the very first Jeeves and Wooster book (Jeeves Takes Charge, I believe) or go with Something Fresh, my favorite (thus far) non-Jeeves and Wooster novel. Excellent. I’ll have to start looking. I wrote them down on my little paper I keep in my wallet for when I am wandering through used bookstores. Thanks! Considering where you live they ought to be incredibly easy to find, even in the library! 🙂 I would so love to read Wodehouse in the English countryside. Ah, how amazing that would be. You do know how to sell an author! You should get something for your efforts…at least good karma! I do, there is incredible pleasure in having others have a positive experience with authors that I cherish. And if it doesn’t happen, well at least I tried. You haven’t disappointed me yet!